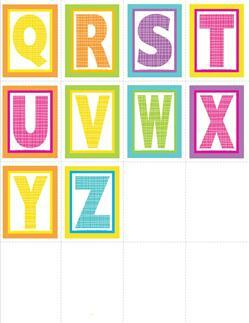 Go to this page to see coordinating big alphabet letters in plaid and polka dot or this page to see more alphabet letter sets. Page number two of my medium alphabet letters EFGH. 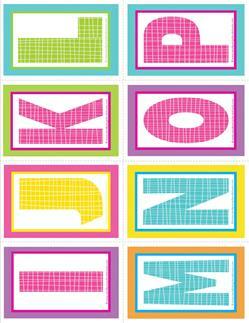 Together with the rest of the letters you'll have a cheery addition to your classroom. 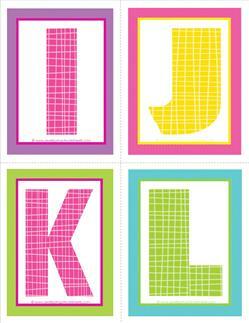 Print, cut, laminate, and have kids put these medium alphabet letters IJKL (with the rest of this set) in alpha order. Perfect for little hands. Pass the letters out. Call a color. 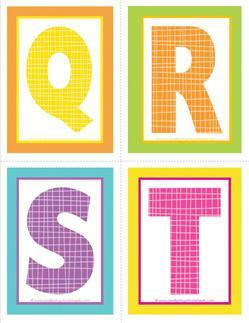 Kids with that color have to tell you the name of the letter - including these medium alphabet letters QRST. 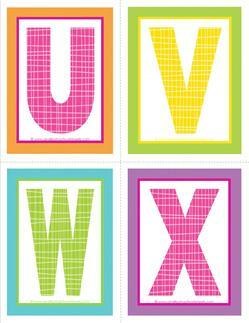 These medium alphabet letters UVWX, along with the other brightly colored letters, posted on the walls, will make your room come alive! 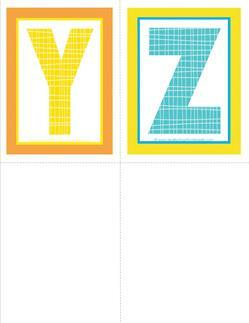 The last of the letters in this size - medium alphabet letters YZ. Put them together and what have you got? Bibbity bobbity boo! 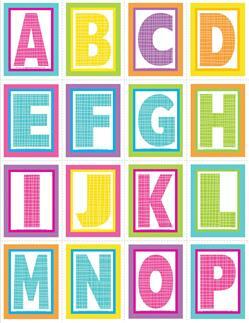 The whole alphabet! 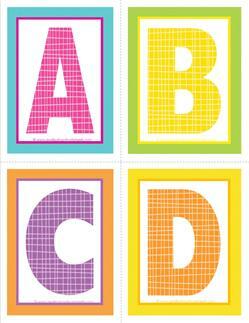 Small alphabet letters ABCDEFGH coordinate with the medium and big sized letters on this site. 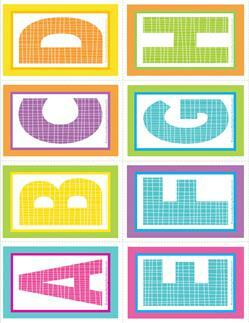 Use for practicing letter names & sounds. 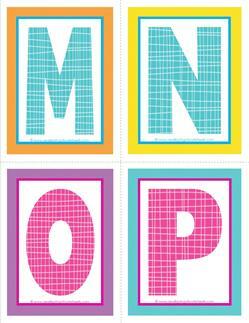 Have kids use these small alphabet letters IJKLMNOP and the rest of the set in your home or classroom to put letters in alpha order. 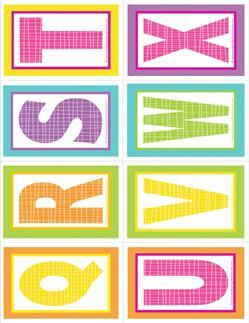 These small alphabet letters QRSTUVWX are the perfect size for little hands. Use with the rest of the same sized letters on this site. 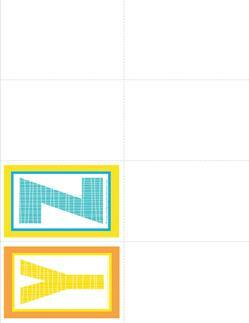 Have kids use these small alphabet letters YZ and the rest of the set to identify letter names and to tell which ones are vowels and which ones are consonants. 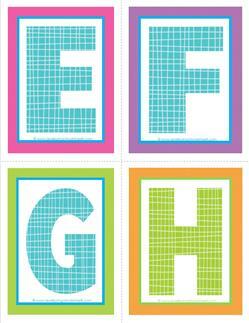 The first page of this set of very small alphabet letters A-P rounds out our collection of these brightly colored plaid and polka dot letters.